“When the renovation was complete, it was unbelievable. Students were astonished by the results.” — Ken Fibbi, Director of Buildings and Grounds for the West Allegheny School District. 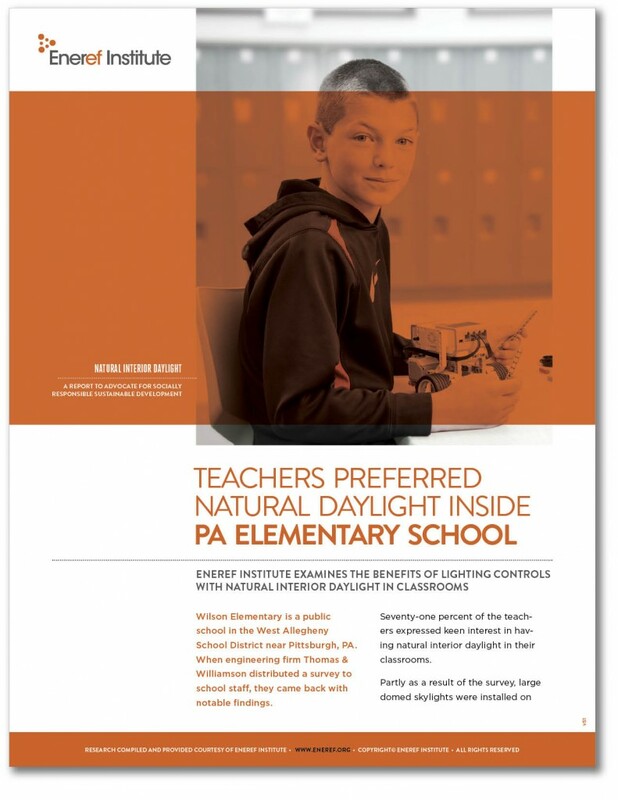 Wilson Elementary is a public school in the West Allegheny School District near Pittsburgh, PA. Seventy-one percent of the teachers expressed keen interest in having natural interior daylight in their classrooms.